Since winning the Gold Medal at the 1997 Van Cliburn International Piano Competition, Jon Nakamatsu tours year-round working with many of today’s leading conductors and orchestras, and appears in recital and chamber collaborations at festivals and music centers worldwide. Together with the renowned clarinetist Jon Manasse, Mr. Nakamatsu regularly tours as a member of the Manasse/Nakamatsu Duo. The Duo also serves as Artistic Directors of the esteemed Cape Cod Chamber Music Festival, founded by pianist Samuel Sanders in 1979. Mr. Nakamatsu is a frequent guest with ensembles such as the Emerson, Tokyo, Prazak, Escher, Jupiter and Ying String Quartets. He has also toured extensively with the Berlin Philharmonic Wind Quintet. Named Debut Artist of the year by NPR’s Performance Today, Mr. Nakamatsu has been profiled by CBS Sunday Morning, Reader’s Digest and is featured in Playing with Fire, a documentary about the Tenth Van Cliburn International Piano Competition. He records exclusively for harmonia mundi usa, which has released 13 CDs to great critical acclaim. His recording of Gershwin’s Concerto in F and Rhapsody in Blue with the Rochester Philharmonic remained on top of Billboard’s classical charts for nearly six months. Mr. Nakamatsu’s CD of the Brahms Clarinet Sonatas with clarinetist Jon Manasse was selected by the New York Times as among its top classical recordings for 2008. Jon Nakamatsu studied privately with Marina Derryberry since the age of six, has worked with Karl Ulrich Schnabel, and studied composition and theory with Dr. Leonard Stein of the Schoenberg Institute at the University of Southern California. A former high school German teacher, Mr. Nakamatsu is a graduate of Stanford University and holds a bachelor’s degree in German Studies and a master’s degree in Education. In 2015, Mr. Nakamatsu joined the adjunct faculty at the San Francisco Conservatory of Music. 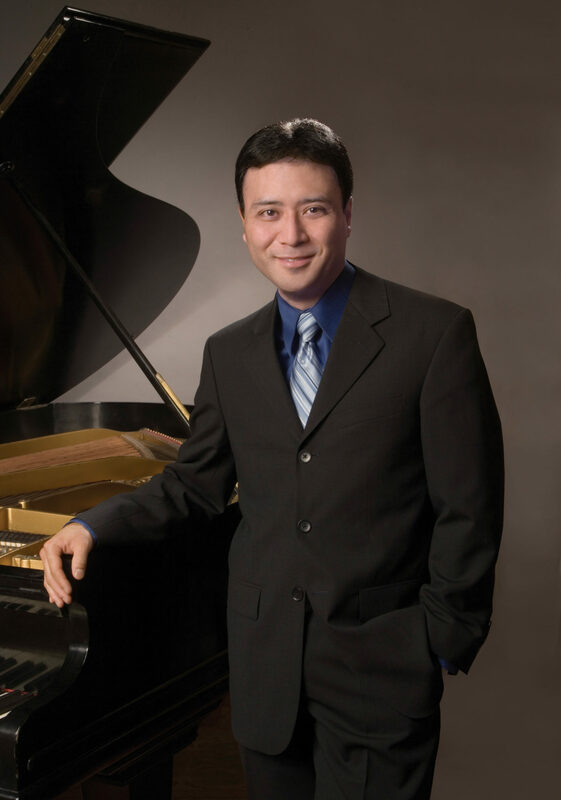 Mr. Nakamatsu has served on multiple international piano competition juries, and has also been invited as guest speaker at numerous institutions including the Van Cliburn Foundation, Stanford University and the Juilliard School.